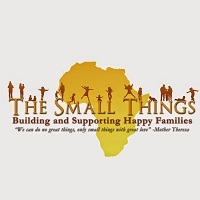 About this organization: The Small Things is a dynamic community based organisation operating at the grass roots level in the Meru District of Tanzania. Our actions are predicated on the belief that the best way to help a child, is to support the community in which they live and to this effect, we offer a variety of family preservation and reunification services aimed to empower and strengthen families, so that they can reclaim their children from residential care. We are currently seeking a Communications and Visitor Coordinator to manage our visitor program here in Nkoaranga and act as the face of our organisation both on the ground and digitally. • Manage all incoming volunteer and intern applications through recommended advertisement channels. Measure channel success and make recommendations on best use of resources. • Note: Direct management of volunteers’ day to day work activities will be provided by relevant program staff, and volunteer assistant. You are only responsible for pre communication and conversion.